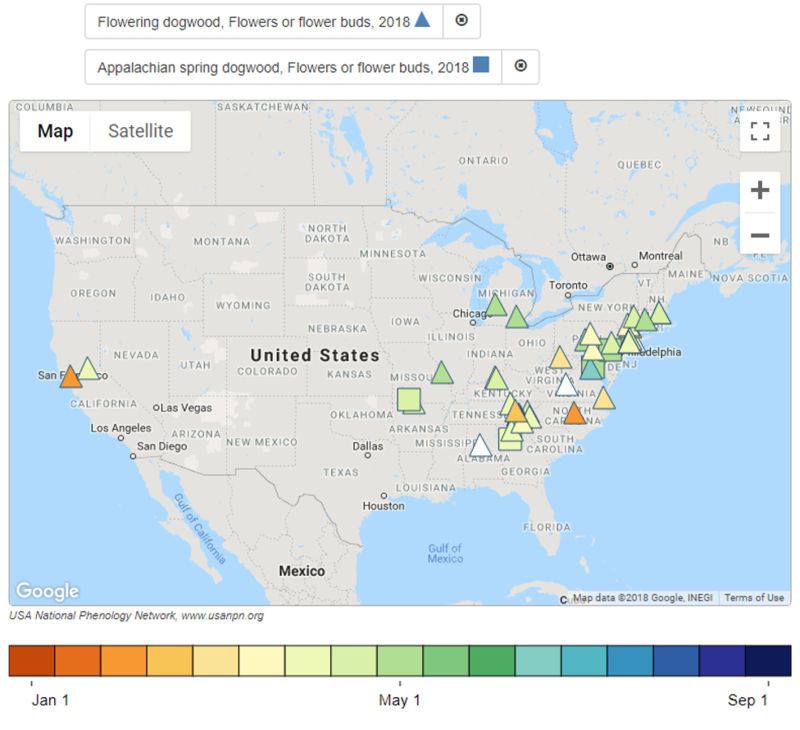 Your observations of the native flowering dogwood (Cornus florida) can enhance the phenology observations of cloned dogwoods that are being collected across the United States. Comparing the phenology of these species with that of cloned plants enhances our understanding of genetic and environmental influences on the plants. Observations of the common and cloned species at the same location are especially valuable for untangling these mysteries. 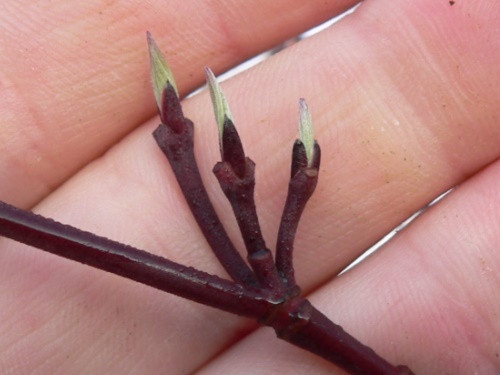 See what volunteers' observations of flowering dogwoods are revealing. Tracking a native dogwood is easy - you can observe a plant that is already thriving in your yard. 1. Select your plants. 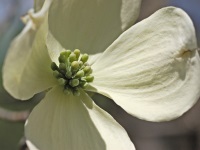 Identify one or more native flowering dogwood (Cornus florida) plants at your site. 3. Sign up to receive our flowering dogwood campaign messaging (in the right sidebar of this page - you may need to scroll back up to see it). You will receive messages approximately every 4-6 weeks during the growing season, providing early results, encouragement, observation tips, interesting links, and campaign-specific opportunities. Don't miss out! 4. Observe your plant(s). Report what you see (yes/no/not sure) on your plant periodically following the instructions for flowering dogwoods. We encourage you to observe your plant(s) 2-4 times a week, especially in the spring, when things are changing rapidly. However, we welcome any observations you can contribute. Flower buds One or more fresh open or unopened flowers or flower buds are visible on the plant. Include flower buds that are still developing, but do not include wilted or dried flowers. As soon as the overwintering flower buds begin to swell, you can start reporting "yes" to flowers or flower buds. Open flowers One or more open, fresh flowers are visible on the plant. Flowers are considered "open" when the reproductive parts (male stamens or female pistils) are visible between or within unfolded or open flower parts (petals, floral tubes or sepals). Do not include wilted or dried flowers. For Cornus florida, ignore the four large, white bracts and watch for the opening of the small flowers in the center of the bracts'. Remember, you should continue to report "yes" to flowers or flower buds (above) when you report "yes" to open flowers. How do I tell a leaf bud from a flower bud? Leaf buds (left photo) and flower buds (right photo) can be tricky to identify. 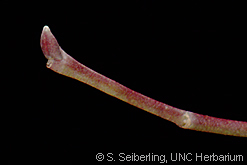 If you think you have misidentified a flower or leaf bud, you can correct your submitted observations. Learn more here. Also, remember that the "flowers" you are looking for are actually the small yellow/green flowers inside the large white bracts. 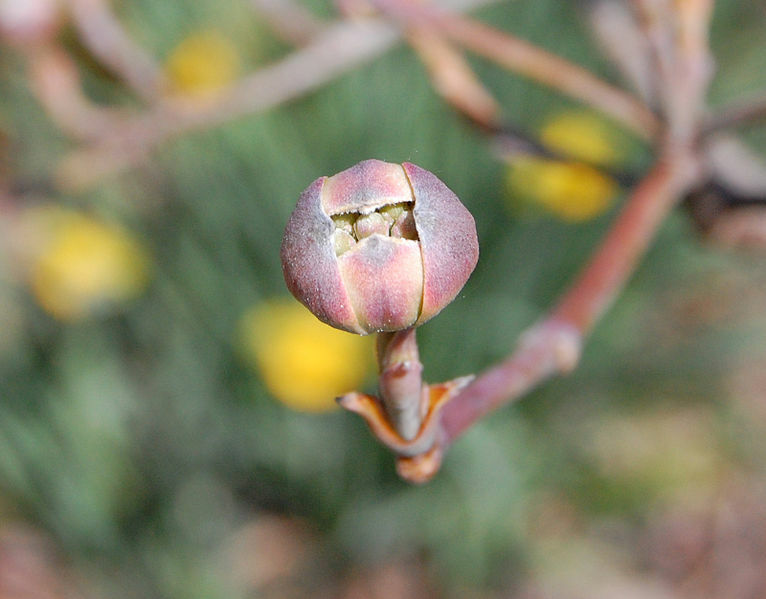 In dogwoods, flower buds generally start to open before leaf buds. 5. Report your observations. Periodically log into your Nature's Notebook account and transfer your observations from your paper data sheet into the online reporting system. Alternatively, you can enter your observations directly using our Android or iPhone smartphone and tablet apps. 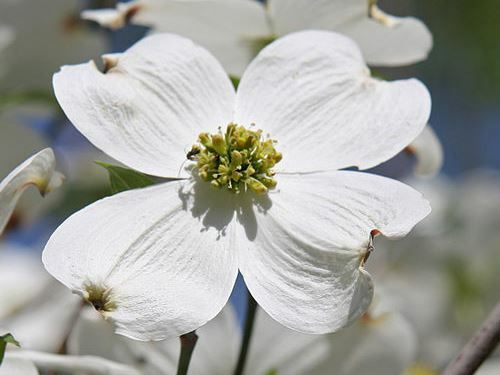 Over the last five years of this campaign, observers reported nearly 150,000 records on dogwoods, capturing nearly a thousand onsets of flowers or flower buds and thousand onsets of breaking leaf buds between 2014 and 2018. The highest number of individual trees were observed in 2017. Observers submitted data at 126 sites this year on cloned and native flowering dogwoods. 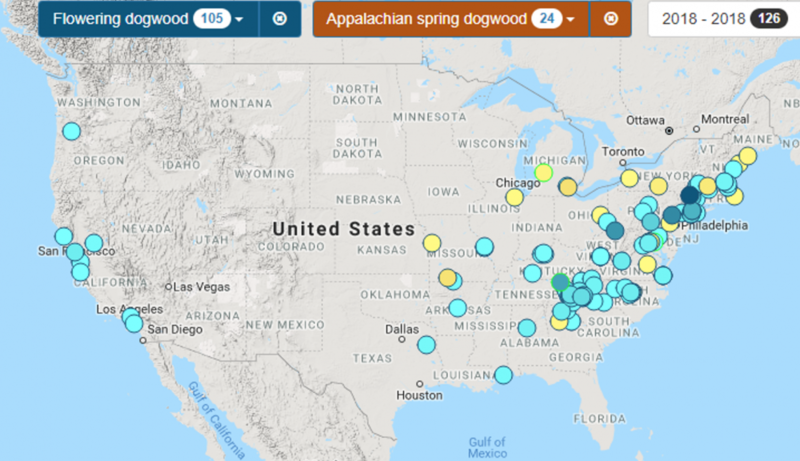 Sites reporting on native flowering dogwood (represented by blue) and cloned dogwood (Appalachian Spring, represented by yellow) in 2018. Darker colors represent sites with more observations. This year, observers reported flowers or flower buds slightly later than last year for both native flowering dogwoods and cloned dogwoods. 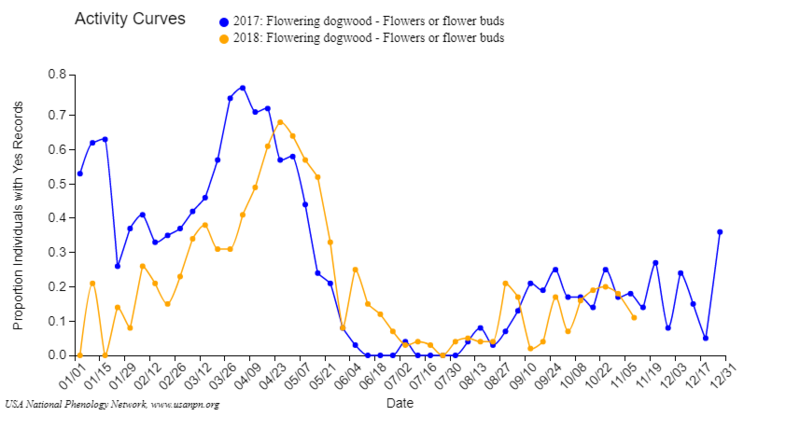 If we take a closer look at the reports for flowers or flower buds, we can see that the proportion of individual native flowering dogwoods with "yes" records was higher earlier in the year in 2017 than in 2018. This may be due to the early spring of 2017 over much of the country. Observations of dogwood flowering tended to be earlier in the south and California than in the Midwest and Northeast. 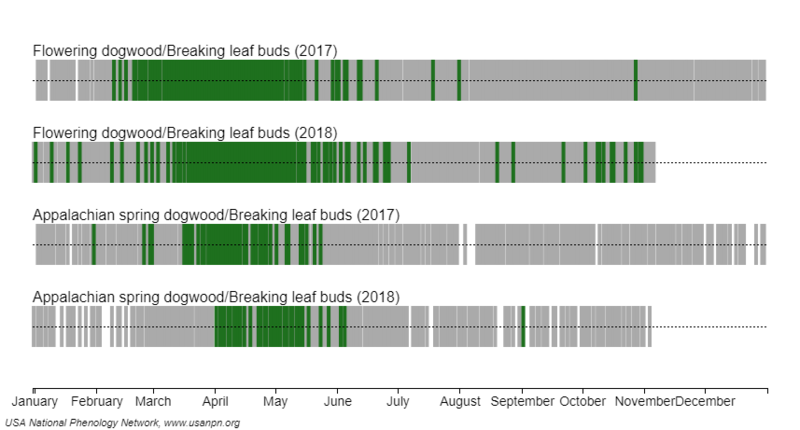 This year, observers reported breaking leaf buds earlier than last year for native flowering dogwoods, but later than last year for cloned dogwoods. 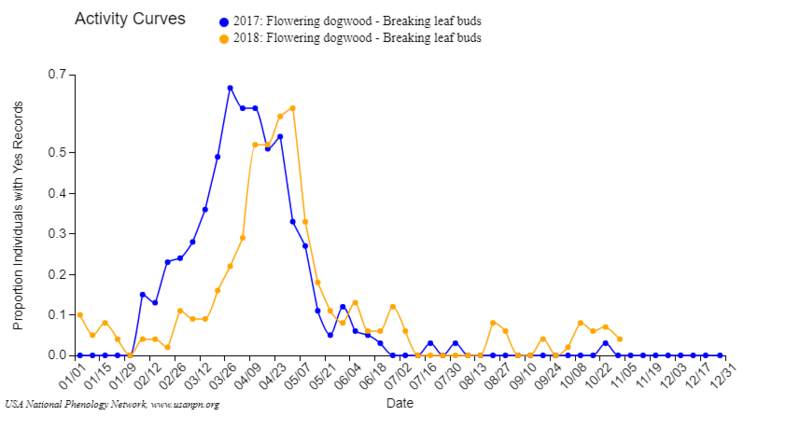 If we take a closer look at the proportion of native flowering dogwoods for which observers reported a "yes" for breaking leaf buds, we see that while the first "yes" reports were earlier for 2018, the peak in reports of breaking leaf buds was earlier in 2017 than in 2018. 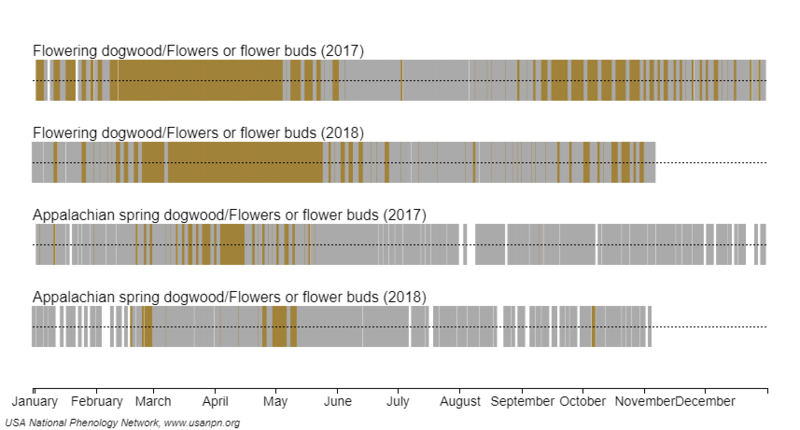 This follows the pattern of flowers or flower buds, where 2018 was later than 2017. 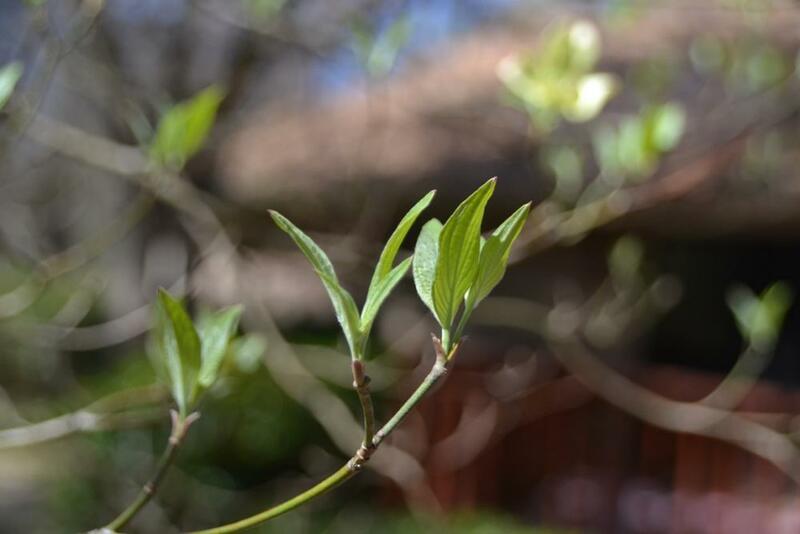 Observations of dogwood breaking leaf buds tended to be earlier in California and parts of the Southeast than in the Northeast and Midwest. We hope that you join us again next year to keep learning about your dogwoods and adding to this rich dataset. 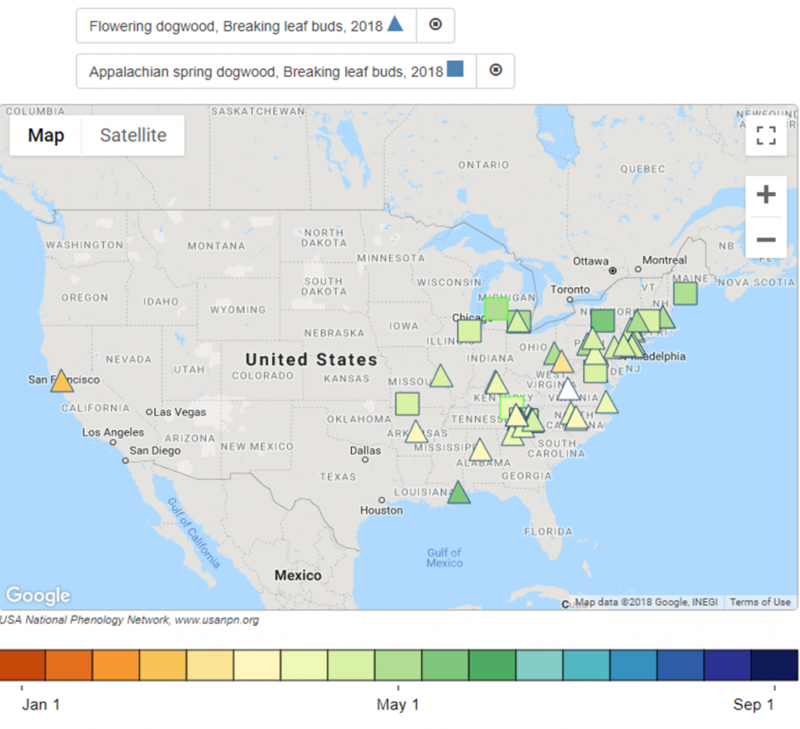 Your reports will help us to continue to understand how local environmental conditions influence the timing of flowering and leafing in dogwoods and to develop models to predict these seasonal events in the future.